At Western Technical College, we believe that education is an important step to finding a rewarding career in today’s fast paced world. That’s why our admissions department is trained to guide you through the career planning process. Curriculum offerings are designed to help students prepare for career opportunities in various technical and healthcare fields. Family-owned and operated for four generations, Western Technical College began as a trade school where people could learn how to take their passion and turn it into a career they loved. Since 1970, our real-world approach to education is one of the many reasons Western Technical College Graduates find success in their careers. 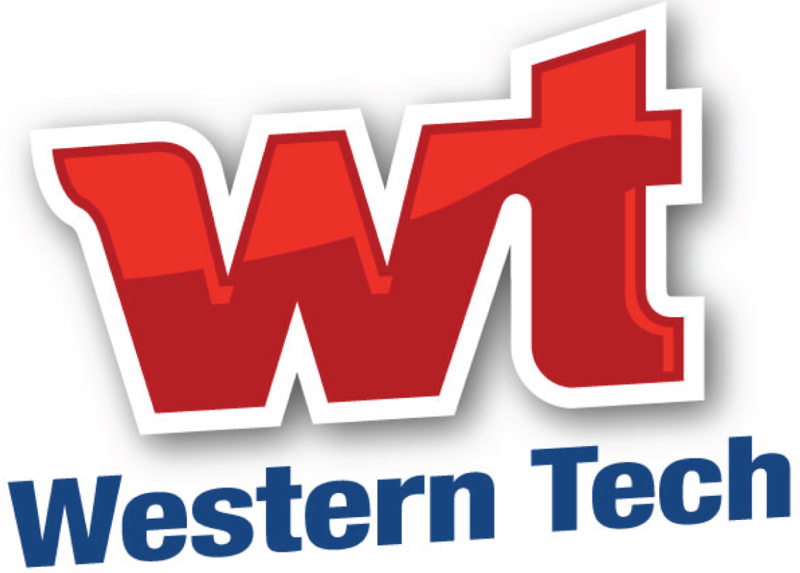 Western Technical College will help you achieve your educational goals through a combination of hands-on experience, traditional classroom work, and industry-specific career development. Western Tech provides quality training and education in a caring, professional environment that prepares new students and working adults with the skills they need to succeed and advance in their chosen careers. The Electronics Engineering Technology program at Western Tech will give you the opportunity to work on a variety of electronics that keep today’s world moving. The demand is high for knowledgeable individuals who can work on automated equipment in many high-tech industries. In the Electronics Engineering Technology program at Western Tech you will be trained in fiber optics, soldering, and communication equipment. From simple electronics to programing PLCs, Western Tech will give you the skills you need to succeed. As part of your program, you will have the opportunity to do an internship in the electronics industry and gain real-world experience. If you want to know how we keep our homes and offices cool in summer and warm in winter in an energy efficient manner, HVAC Technician Training at Western Tech's HVAC School is for you. You will learn how to diagnose, repair and perform preventive maintenance on a variety of highly sophisticated pieces of equipment. With our HVAC Technician Training you’ll learn to work with residential heating and cooling units, commercial heating/ventilation/air-conditioning (HVAC) systems, commercial refrigeration units, sheet metal, and more. The HVAC training program incorporates modern industry concepts that tie in energy sustainability and weatherization. Through guidance by organizations such as, the U.S. Green Building Council, the HVAC Training program at Western Tech's HVAC School incorporates solar electricity (photovoltaics), wind power and energy management, providing students a more complete view in what is current in Refrigeration and HVAC technology. Finally, an introduction to weatherization provides economic and enviromental effects of the inefficient use of energy in heating and cooling building. During your HVAC Technician Training, you will receive a complete tool set to use in school and keep when you graduate. If you like to help keep businesses running, our Associates of Applied Science (AAS) in IT Degree Program - Information Systems and Security at Western Technical College in El Paso could be perfect for you. In this hands-on IT environment, you will earn an Associate of Applied Science Degree in Information Systems and Security (ISS) , and you'll learn to integrate different types of computer hardware and software in support of modern networked solutions through Microsoft, Cisco and Linux applications. You'll configure servers, program routers and switches, and learn modern security measures that protect systems and networks. Some people are natural caregivers and use therapeutic touch as a way to help. They can provide relief to those under tension and in pain and help improve the quality of life for many others. If you are a natural caregiver, then the Massage Therapist Program at Western Technical College in El Paso, TX is right for you. You can graduate with 750 hours of massage therapy training, including 100 hours of clinical internship that will give you experience working directly with actual clients. Western Technical College Medical Billing and Coding School offers a certificate program in Medical Billing and Coding that opens doors in this key segment of the industry. A Medical Billing and Coding certification from Western Technical College is the ticket to entry-level employment in this specialty. There is also room to grow, as individuals with a Medical Billing and Coding Certificate can continue on to obtain bachelors or master’s degrees that can prepare medical billers and certified coders for managerial opportunities. The Medical Billing and Coding training program is taught with modern technology. Each student is provided a laptop on day one. The students are issued e-books with the exception of ICD-10-CM, CPT, and HCPCS. Half the Medical Billing and Coding Certification program entails hands-on instruction with electronic medical records and with other digital technologies. Students turn in their work electronically, take their exams online, and may chat with their professors online. Some people are just car folks — they love finding and fixing problems on anything with wheels. If that’s your passion, then you’re going to want the Automotive Technology Program at Western Technical College. As a part of our Automotive Technology Program you will also have the opportunity to do an internship in the automotive industry to gain real-world experience while you’re attending Automotive Technician school. Additionally, the complete tool set you will use in your training will be yours to keep when you graduate. When you like engines that do more than just power cars and light trucks, you’re a diesel mechanic at heart. In that case, our Diesel Mechanic Training is for you. Our diesel instructors have years of hands-on experience and will teach you how to diagnose, adjust, repair, overhaul, and maintain any type of diesel engine — from bus and truck engines to large marine engines and everything in between. Today's world runs on diesel, and our Diesel Mechanic Training will get you started on a career that could have you working on big rigs, cruise ships, offshore drilling platforms, power stations, farm equipment, railroads, mining equipment or one of many other possibilities. As a part of your Diesel Mechanic Training you will also have the opportunity to do an internship in the diesel industry while you're attending Western Tech's Diesel Mechanic school in El Paso.